Watching the film “Life of Pi” made us remember experiences we had while ocean sailing. 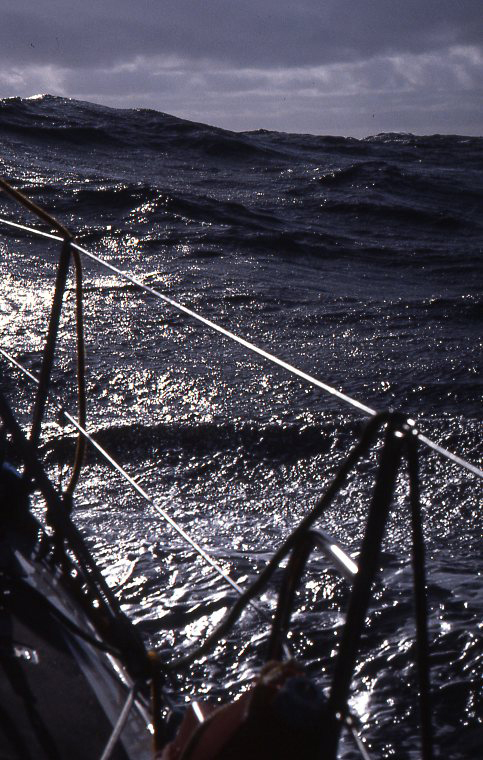 Here we are sailing to Hawaii, and looking back over our stern you can see the breaking waves and sea foam blown by the wind. At least it was a favorable wind behind us! The 2013 Seattle Boat Show is in progress! This year, it runs from January 25 to February 3. We’d love to be going, but it looks like we’ll miss it again this year. Travel in and out of Central Oregon in the winter can be “iffy” due to inclement weather in the surrounding mountains. This week the weather forecast calls for the possibility of some winter storms. Between the uncertain weather forecast and some commitments we have in Bend, we decided it’s best not to try to fit in a trip to Seattle. 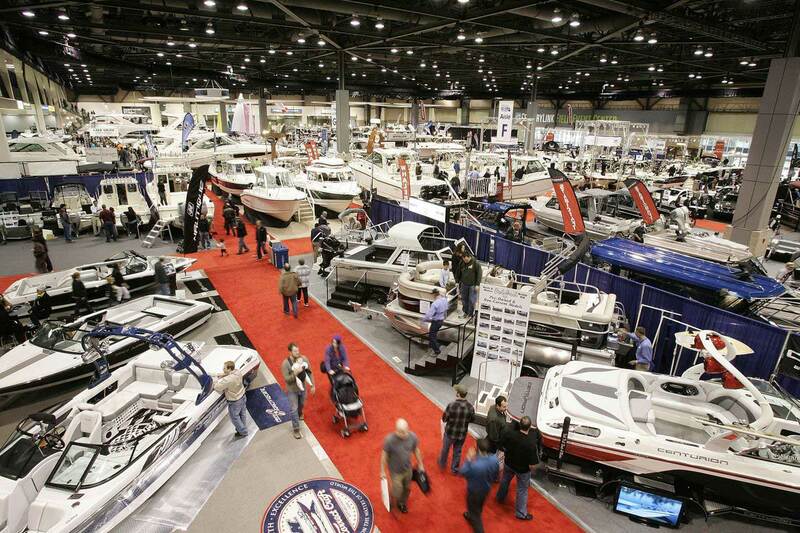 The January boat show in Seattle is such a great event for all kinds of reasons. We’ve been going to boat shows there since we bought our first sailboat in 1974. 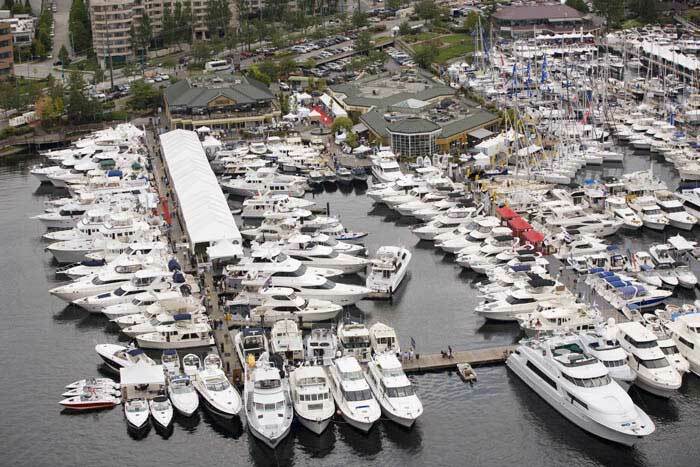 Since then, the show has been expanded to include not only boats and exhibits at the inside show (this year at CenturyLink Event Center), but also boats in the water at the Boats Afloat part of the show (this year at Chandler’s Cove, South Lake Union). This annual winter boat show is a huge event and a great place to look for a boat or to tour other boats to look for features that you might want to add to your own boat. The floating boat show at Lake Union has many boats of all sizes and types on display. The Boat Show is also a great place to tour the exhibitor displays or to get good buys on boating equipment, which frequently is on sale at boat-show-discounted prices. And, the most fun part of the show is that it’s the perfect time to start planning for summer cruising. There often are lectures that help you learn about cruising destinations or learn how to deal with cruising situations. Or, perhaps pick up the current version of the Waggoner Cruising Guide to start your summer planning. You might even run into fellow cruisers. The inside part of the Seattle Boat Show has lots of boats to look at as well as many exhibits, vendor booths, and seminars. We haven’t decided on our summer cruising for 2013. We missed having a long cruise last year, so hope to be able to get away this summer. Perhaps another cruise to the islands of the Broughton Archipelago? Or maybe it will be a good time to round Cape Caution and cruise in Northern BC or beyond? We’ll set our plans soon. On an unrelated subject, we went to see the 3D version of the movie Life of Pi last night. Anybody who has been blue water cruising should see this movie. The special effects are mesmerizing and the scenery is breathtaking. It’s also a great story. But the most intriguing part is that it is so thought provoking about life at sea. 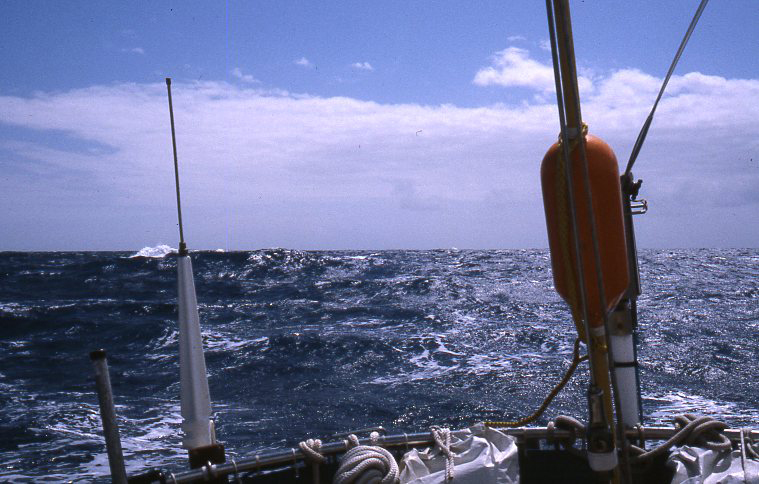 Sailing south off the Oregon coast was our first experience with the ocean’s fury as we encountered heavy seas and high winds from the backside of a low that had just passed, creating winds of 50 knots and higher. We’ve sailed across the Pacific. 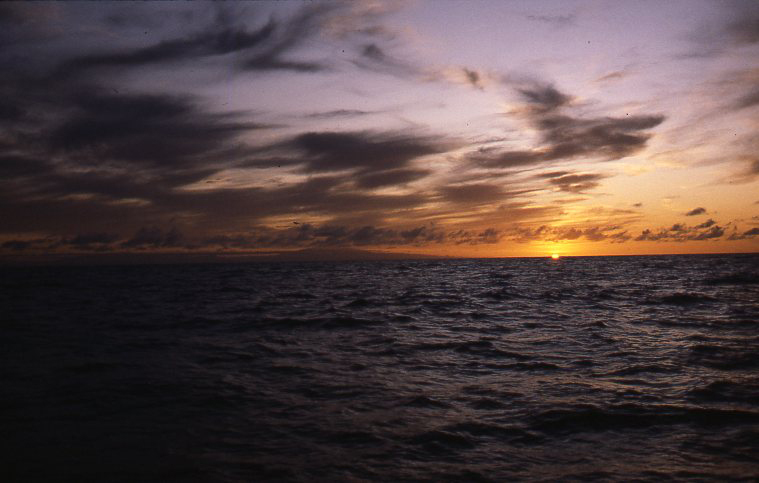 Even though our ocean cruising was many years ago, we have strong and vivid memories of our days at sea. And we know that the fatigue of dealing with heavy seas and stormy conditions sometimes blurs the line between reality and fiction. 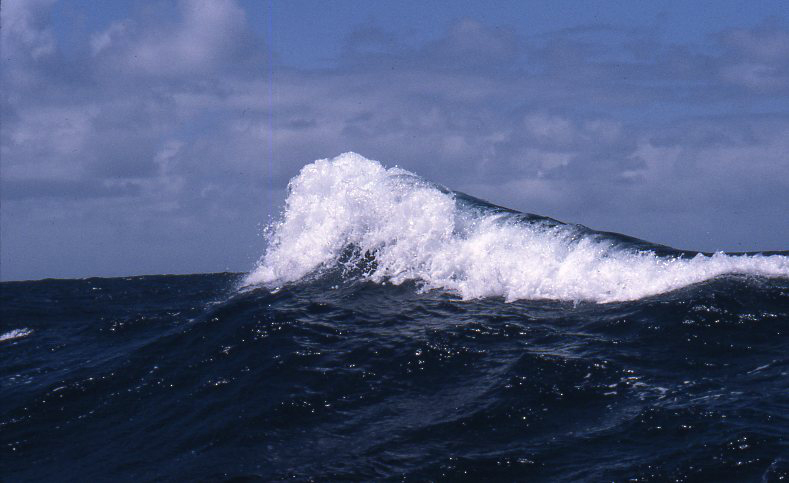 On our way to Hawaii, we experienced some high waves, including this large breaking wave just off our stern. 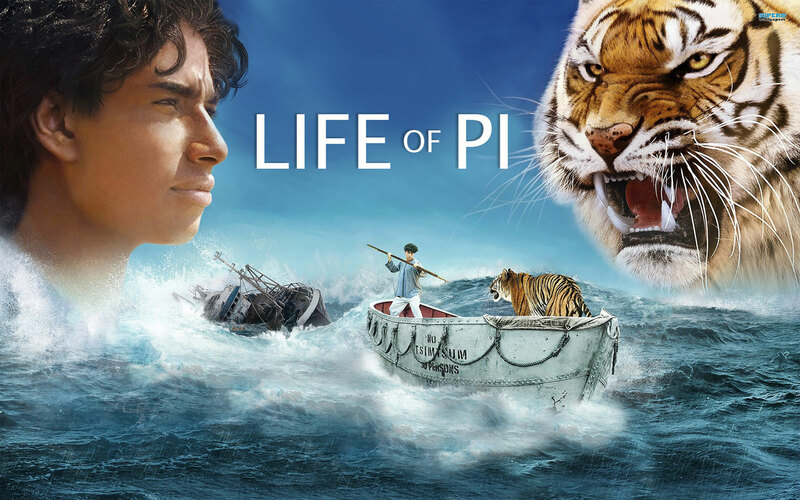 Anyone who has experienced the highs and lows of an ocean crossing or lived through stormy days when fatigue kicks in will find Life of Pi fascinating. Go see it, if you haven’t already. It’s a great film. The seas were much more friendly as we approached landfall in Hawaii after our crossing from Mexico. You can see the mountains of the big island of Oahu coming into view under the clouds to the left of the setting sun. It was a welcome sight! This entry was posted in Cruising, Life Aboard, Travel and tagged broughton archipelago, cape caution, Life of Pi, ocean sailing, Seattle Boat Show, waggoner cruising guide by Sailor Lady. Bookmark the permalink. Glad you got to see ‘LIFE OF PI’. …my choice for best movie, 2012. We have the book, ‘MAKING OF LIFE OF PI’… turns out that the movie’s Pacific Ocean was actually a huge tank (pool), constructed for Ang Lee in Taiwan (where much of the film was shot). Thanks for your note, Howard. It definitely was a great movie! Interesting to hear that a huge tank was used for the ocean scenes. They sure made it look realistic! Very nice post. Brings back a lot of memories.